Today, we have all the reason to celebrate. A new year just unfolded and tons of new exciting things are happening for Naldz Graphics. We are really happy that we have reached the fourth year in catering to your design and freelancing needs through helpful articles we post every day. Another great year is about to begin as we take our journey to development and improvement. We are indeed blessed for being given this chance to still offer you limitless design resources, inspirations, tutorials and tips here in Naldz Graphics. We are celebrating for you are still with us all through these years. Adding a year to our milestone gives us all a feeling of having a fresh and abundant beginning even if we had been here for a long time now. We seem to feel a blast of pride as we spark changes for expansion and progress. A big flare seems to signal that something huge waits for us. With that, as we eye for the growth of Naldz Graphics, we are also taking a good look on how we can offer you better posts since it is the best gift we can give you for untiringly staying with us this long. Also, look forward for a really big blast that we have prepared for all of you. I have a surprise to all avid readers and followers of Naldz Graphics. This is one way of saying thank you for unceasingly patronizing and supporting us. Well, I had been wondering what gift would be best to express my gratitude and I came up with a thrilling decision. 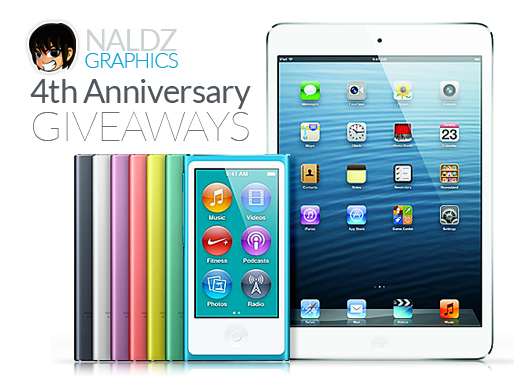 As we celebrate Naldz’s fourth birthday, we will be giving away iPad Mini and iPod Nano to four lucky readers. Yes, you read it right. It would be yours, right on your very palms simply by leaving your email. Your ticket towards getting our grand giveaways is just below this post. 1 iPad Mini – 1 Winner. Either White & Silver or Black & Slate. 16 Gig. Wifi Ready. 3 iPad Nano – 3 Winners. 16 Gig. Any color of their choice. Enter your email in the form below. Only one email entry per person. Duplicate email entries will be disqualified. Contest Runs until February 28, 2013. Winners will be contact right away using the email you’ve entered. But before we engross ourselves to these giveaways, I am once again sending you our heartfelt gratitude for allowing us to exist this long. For me, this is my year, our year and your year- it is for all of us who would like to upgrade and enrich ourselves. Let us make a blast! Look forward for more surprises in Naldz Graphics! Hearty Congrats to the Team of Naldz Graphics for the “4th Year of Celebration”. Happy Birthday 🙂 I’m in. It would be easy to send the price in the Philippines, right? Kidding. By the way, how will you choose the winners? Looking forward with another year.. God bless you all. lol. thanks for participating bro. We’re going to use a random generator to pick the winners and post the update in this page. Oh I see… There might be a little-but-not-so-serious problem. Position of the comments are changing based on the number of votes so if you will choose based on the position of the comment (by means of counting), will you choose the original or the latest? Just asking. That’s the problem I have encountered before 🙁 And I’m opening the door so you wouldn’t actually encounter the same thing. Hope that helps. Whoa! Congratulations for his great contribution to us all. It’s a great site with quality content. Keep it up! Congratulation Naldz for the 4th Anniversary! Good Luck! Hey Congrats Naldz Graphics for 4th Anniversary. Congrats for 4th Anniversary.Best of Luck. wow!you’ve stayed long in this business so your great,keep up the good works. I’m looking forward for your giveaways,:)congratulation naldz. Your way of thanking your reader was so great and I’m looking forward on it. Thank you Naldz for all the informations,designs/arts and so on that you have shared to us..happy anniversary. No doubt that your site will prosper.congratulation!! 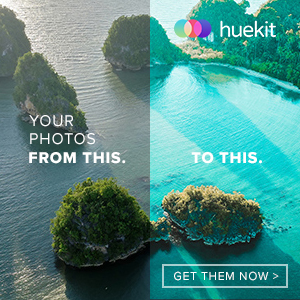 Your site is very interesting…Happy 4th birthday Mr. Bien. I’m happy for being part of your success..congrats!more years to come. Great! !You’ve come this far..congratulation Naldz and for the readers. Congratulations on your Anniversary you guys always give me some inspirational material when I need it THANKS!!!! The BEST Blog EVER!! Happy Birthday! 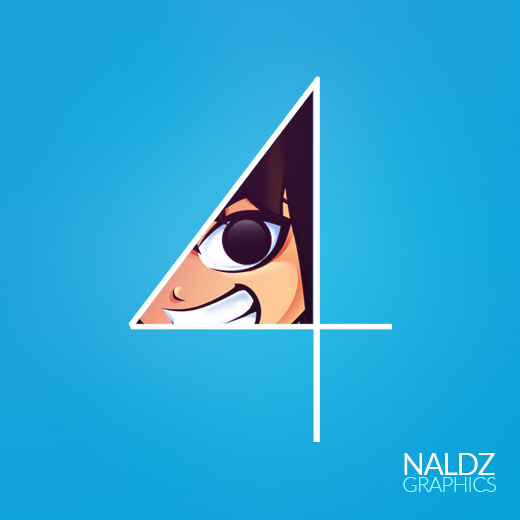 Happy 4th birthday naldzgraphics! Cheers to the four long years of design awesomeness!